"Best realtor around highly recommended!!! Helped me and my family every step of the way to find our dream home and treated us like family, went out of her way to make sure our experience was the best it possible could be." Communicated with us even from Paris! "Lysa was amazing!! The second we were able to purchase with her help she was emailing me from Paris!! That is dedication!! She is the best!!! She went above and beyond, referred me to a great lender who was able to make things happen! Would highly recommend her to everyone that is anyone!!" "It was so wonderful to work with Lysa on out first home purchase! We were truly blessed to have met her. She was so kind and thoughtful throughout our entire journey! We are so happy to call this city of Livonia our home! All we can say is thank you! thank you! thank you!" Foresight and Experience in Real Estate! "Without Lysa's foresight and experience in Real Estate I would not have been able to receive a non-refundable deposit after a buyer strung us along and backed out at the last minute. She was then able to find another buyer quickly by reaching out to past showing agents and came back with an ever better offer !! I thank God and Lysa for her dedication and persistence!! I am very grateful!!" "Lysa has helped me rent condo for years. She assisted in advertising property, showing the condo, running credit check & writing up lease agreement. When I was ready to sell the condo, she helped listing, showing and selling it within the first week! I got asking price as well. She is currently helping me sell & purchase different properties. She is very responsive & knowledgeable"
"Sincere and warmest appreciation for Lysa's honesty and help throughout the entire purchasing process of our first home. We knew we were in good hands as soon as we first met her :-)"
"We were extremely satisfied with the job Lysa did. She was quick to respond to our inquiries and was always looking out for our best interest. She kept us "in the loop" through the entire process. She also sold our property very quickly. We would give her our "Highest" recommendation." "Lysa is the hardest working Realtor I have worked with. She is knowledgeable, experienced, and willing to work in the difficult markets. I am retired now but when I was active I purchased distressed properties from banks and HUD. Lysa handled all the offers and closings. I would not recommend anyone but her." "Lysa Kowalik went above and beyond to find a home that was perfect for me. She was available every time I called her and never made me feel as if I was bothering her. She is the best In her industry and that is proven by her success. I would never even think of using anyone else." "Excellent agent, She did everything in her power to help us find our dream home and make us feel comfortable. She made promises to us that were kept. As first time home buyers, I would recommend everyone to work with Lysa." Lysa Makes Selling your Home Easy! "Fast, honest and easy to work with, we received an offer for more than asking price after one day of the home being listed. Couldn't of asked for an easier experience." "After listing our home with Lysa, we have finally sold it to a nice couple. I must say I was not the easiest client to deal with since I was really against selling my home. My wife persuaded me to put it on the market. Lysa was the best! She worked with us, got us close to the price we wanted with no problems. I highly recommend her for any real estate needs you might have, as she would be a definite asset." "Lysa made my first time buying a home easy. She was very helpful answering all of my questions throughout the process and helping me to find a house I love. I would highly recommend her!" "I would recommend Lysa to ANYONE! She is AMAZING at what she does! She has the Passion, Determination, More knowledge than any other realtor I have encountered! You can tell she LOVES her job! She has sold 2 of our houses; and found us 2! We moved across the state; and she was able to find us our Dream home some 300 miles away. I wouldn't purchase or sell a home without her! Trust me; and neither should you, if you want it done correctly with all your loose ends tightened up, T's crossed and I's dotted!." She's the Only Realtor for Me! "Lysa represented me as a seller and sold my home very quickly for more than I expected. My home was a difficult property but Lysa guided me through the staging and marketed it professionally and proficiently. I felt confident and informed through the entire process. 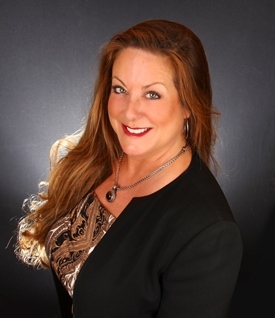 Lysa is an expert negotiator and I will never let any one except Lysa represent me in a real estate transaction." "As a first-time home buyer, the purchasing process was rather daunting. I was referred to Lysa by a friend, and I don't know what I would have done without her. Everything from the initial call and looking at houses to making an offer and closing on the deal was easier with her help. With a no nonsense attitude, she was transparent about the entire process which made buying your first home much more comfortable.Thank you, Lysa, for helping us find the perfect house for us." "Lysa found the perfect home for me and my husband that met both of our requirements, which was very challenging. She successfully negotiated a purchase price that we were comfortable with. Navigating the stressful home buying process was a breeze with Lysa taking care of every last detail all the way through the closing and beyond. This is the Realtor that You Need on Your Team! "Lysa was incredibly thorough and masterful in marketing our home. Her knowledge of the current market was evident in the quick responses to our listing. Within 5 days we agreed on the best offer. She advocates for her clients and shows great attention to detail. Within 1 month's time we went from listing to closing with seamless precision. This is the realtor you need on your team." "She is very good at her job and a very friendly lady she found us a house that is gorgeous we love our new home !!! she also made sure we had a home warranty and answered my calls at all hours of the evening she was always there for us no matter what i would recommend her to everybody"
Very Prompt and stays 2 steps ahead! "Lysa is very prompt when it comes to answering questions and returning calls or emails. This was very important when it came to closing on our dream home. Today’s fast market stops for no one and Lysa is two steps ahead."